Newable's DIT team showcased 16 companies at the Farnborough International Airshow. The 2018 Farnborough International Airshow played host to more than 80,000 visitors and was the most international show yet with 100 countries in attendance. The Department for International Trade (DIT) South East and Newable’s ERDF projects had the opportunity to showcase 16 innovative aviation companies to highlight their capabilities thanks to a unique and open stand design. This activity was part-funded by the following three ERDF projects South East International Business Growth, Export ASEAN and Get Exporting 2. Being the largest aerospace industry event in 2018, exhibiting companies enjoyed a platform to take advantage of the fantastic opportunities to build relationships and grow their businesses. Stephen Myatt, Charles Jacobson and Robert Pope, International Trade Advisers, were on hand all week to assist the companies, introduce them to key contacts and support each company with the numerous visitors to the stand over the five days. With a packed out Show Programme, the stand had visits from several Aerospace and DSO experts from India, France, USA, China, Italy, Ukraine and Ethiopia. 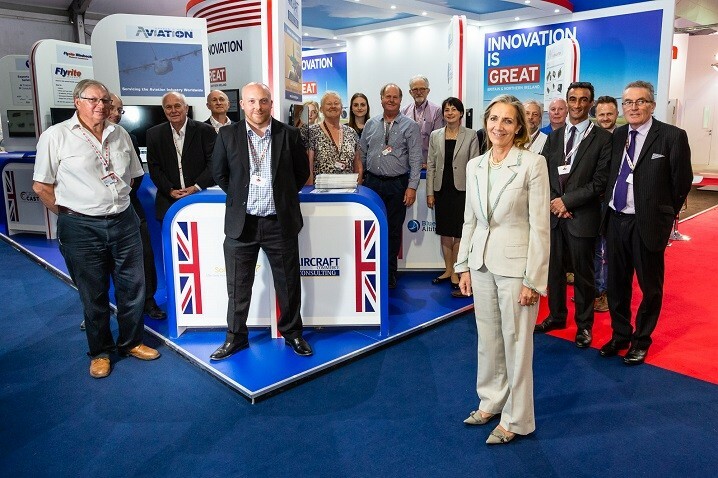 In addition, the companies had a visit from John Mahon, Director General for Exports at DIT, and Baroness Fairhead, Minister of State at DIT, who were able to meet with each company on both a one-to-one and roundtable basis thanks to the flexibility of the stand. In addition, our companies had the opportunity to participate in the show’s Meet the Buyer Programme meeting with big global buyers from companies such as BAE Systems, Boeing, Bombardier, Airbus and so on. There were approximately 75 meetings scheduled for the 16 companies for over the two-day Meet the Buyer Programme. Overall, a very successful week for DIT South East and positive outcomes for all three of Newable’s South East ERDF projects!